The close of another holiday has left Determined to Develop’s campus much quieter, with residential boarding and public school students having returned to school and using their free time to study hard. Students’ report cards from the previous term are being released, showing many positive results from D2D sponsored students. Particularly noteworthy are the scores of some of D2D’s youngest youth. The hard work of Innocent and Mphatso, in their third and fifth years at primary school, is reflected in their exemplary scores. Earning all ‘excellent’ and ‘good’ marks on last term’s report card, Innocent placed position three in his class. Although primary education is free in Malawi, other barriers kept Innocent from being able to regularly attend school. It was important to Innocent’s grandmother that he continue with his education, so she came to D2D for assistance. Since being accepted as a D2D sponsored student, Innocent has taken advantage of his opportunity to achieve an education, attending tutoring sessions and studying hard, consistently remaining among the top three in his class. Mphatso’s home life also made it difficult for him to attend school. Once he was selected as a sponsored student, Mphatso began attending tutoring sessions to bolster his education. He worked hard to catch up to his peers, and his determination earned him the position eight spot last term. 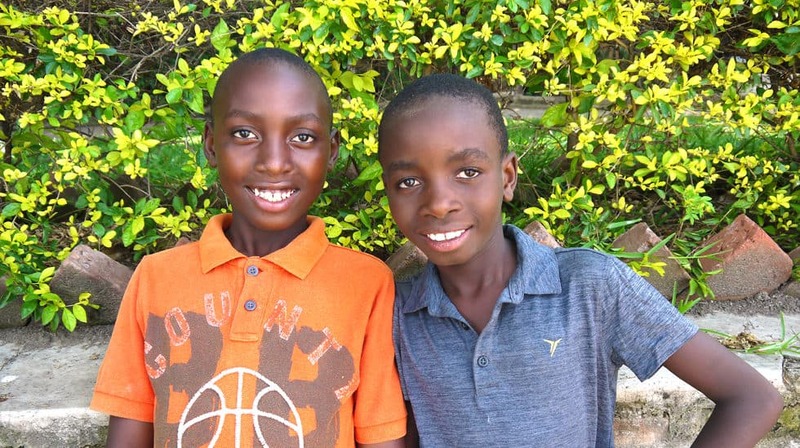 Innocent and Mphatso’s favorite subjects are English, mathematics, and Bible knowledge. They enjoy going to school because they want to “improve their English and learn many different things.” In their free time, they enjoy playing football, riding bicycles, and reading. Innocent and Mphatso are just two of many students whose potential is overshadowed by barriers to attaining an education. Despite eradicating financial burdens, school sponsorship in itself does not guarantee students’ success. It is up to students to compound the opportunities they are given with hard work in order to succeed. Innocent and Mphatso are examples of how the combination of opportunities and determination can unlock students’ potential, allowing them to create for themselves a bright future.